David Reynolds says the brazen Turn 1 move that set up his Sunday CrownBet Darwin Triple Crown victory was borne out of a desire to make amends for an early error in the Saturday race. The Erebus Motorsport driver led exiting Hidden Valley’s first corner on the opening lap of each day, and ultimately finished the races third and first. While he led the first 20 laps on Saturday, Reynolds lost time at Turn 1 on the second lap, locking the right-front tyre, before eventually losing out to Scott McLaughlin and Shane van Gisbergen through strategy. On Sunday, the Penrite Holden carved its way around the outside of front-row starters Rick Kelly and McLaughlin to take the lead from fourth at Turn 1. He controlled the race from there, leading 57 of the 70 laps, and crossing the line 1.66 seconds clear of McLaughlin. “I had to redeem myself from yesterday’s performance, I locked a brake [on lap two] and stuffed it up big-time and lost a bit of a gap,” Reynolds said. Having qualified fourth, Reynolds knew he “just had to go for it” to make the most of his car speed. 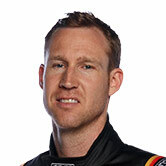 “I was sitting fourth and my car was pretty much one of the fastest cars on the grid,” he added. “I just went as hard as I could, I see everyone sort of rolled out of it and I thought ‘I’ve got this easy’. “I just hung my balls out, went round the outside and just stuck it, it was fantastic. McLaughlin looked set to file into second behind polesitter Kelly before Reynolds rounded them both up. “Davey’s move around the outside was awesome,” said McLaughlin. 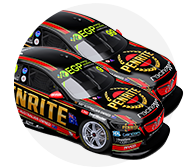 Jamie Whincup, who started and finished third and having been alongside Reynolds on the grid, added: “It was pretty impressive. 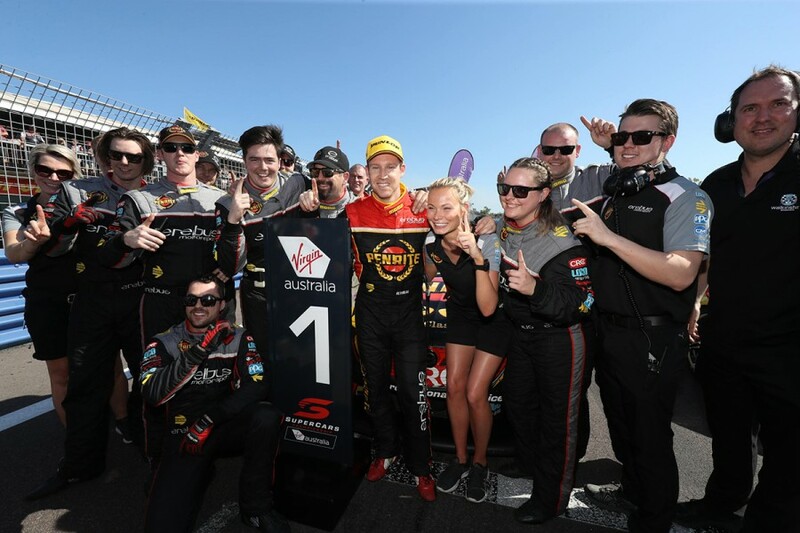 Reynolds’ victory was his second of the campaign, and with the pair of podiums he regains third in the championship after a torrid Winton last month. Rookie team-mate Anton De Pasquale qualified in the top 10 both days - including third on Saturday - and finished 11th and 15th. “The entire team has done a fantastic job this weekend, and we’ve stepped it up again,” Reynolds said.